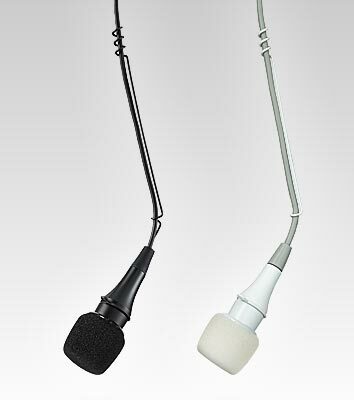 Available in black or white, Centraverse™ Overhead Condenser Microphones offer low-profile, discreet placement with minimum visibility in a variety of settings. An integrated wire aiming hanger allows for optimal placement above choirs and other ensembles. Snap-fit windscreen also included with each microphone. Featuring Commshield® Technology, which guards against unwanted RF interference from portable wireless devices, Centraverse microphones deliver in best-in-class performance and reliability.